I realized that I’m kind of obsessed with Arkansas-shaped things. Along with the previously mentioned cutting board, I have been looking into an Arkansas necklace. And, just recently, I ran across this little gem. 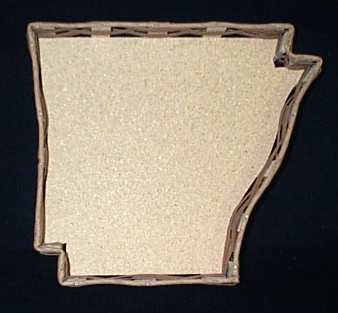 An Arkansas-shaped basket! How does this relate to food, you ask? Because you should buy this, put fruit in it, and place it on your kitchen table. Categories: Uncategorized | Tags: arkansas, basket, i want this, kitchen utensils | Permalink.